This wonderful 3BD/2BA one level living home on gorgeous 9.6 acres is a country lovers dream. This home boasts cozy living room, huge kitchen, master suite, and 2 bedrooms and hall bathroom, and great den area. 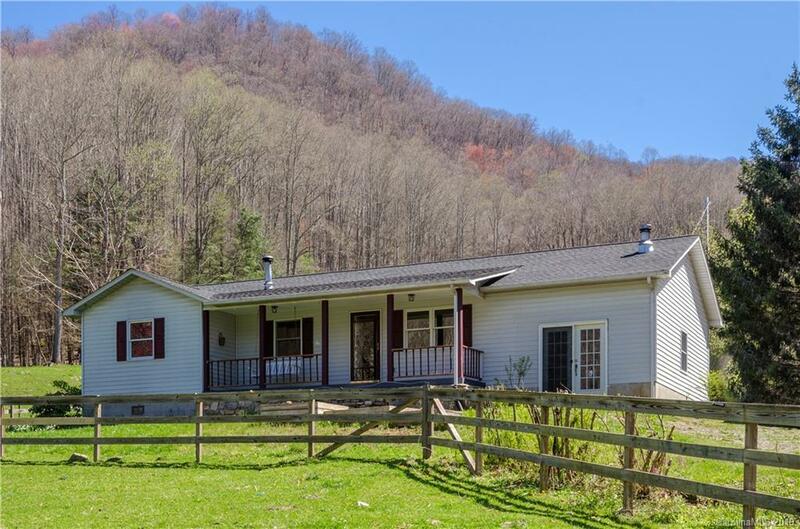 Rocking Chair front porch front porch with beautiful mountain views, fenced yard, great soil for gardening, amazing barns with spacious hay loft for multiple uses, huge storage building/canning shed, and beautiful pasture land complete this must see! Additional PIN# 8734-60-4188 included!